Remember that amazing $10 bike that's made from recycled cardboard? It could soon be coming to a bike shop near you. Cardboard Technologies, the company behind the clever invention, just launched an Indiegogo crowdfunding campaign in an effort to raise money to begin mass production of the recycled cardboard bikes. The company is aiming high, with a goal of raising $2 million in the next 45 days. In addition to the cardboard, the bike is made from recycled plastic bottles and used car tires. The cost of the materials used to make it are estimated at $9 to $12. The bike is fire and water resistant, and it’s strong enough to bear the weight of a 400-pound person. Gafni sees the bike as a way to transform trash into something useful and valuable. “Imagine a time when every plastic or cardboard product that is thrown into the recycle bin will contribute to the creation of a bicycle, wheelchair or toy,” said Gafni. Cardboard Technologies says it passed on several investment offers and instead opted to raise money through crowdsourcing because the company didn’t want to compromise its social values for profit margins. One major perk of donating to the Indiegogo campaign is those who give at least $290 ($250 for the bike + $40 for shipping) will be the first to receive a bike when first deliveries occur in March 2015. 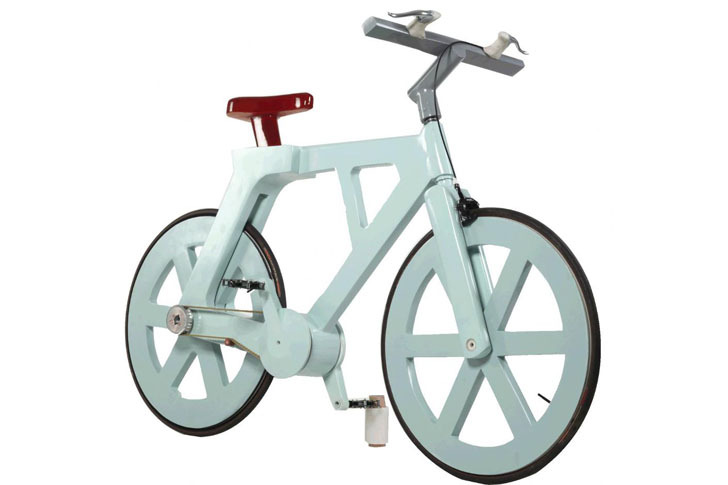 The cardboard bike was created by Israeli inventor Izhar Gafni, who bends and folds pieces of recycled cardboard into strong, weight-bearing shapes. In addition to the cardboard, the bike is made from recycled plastic bottles and used car tires. The cost of the materials used to make it are estimated at $9 to $12. 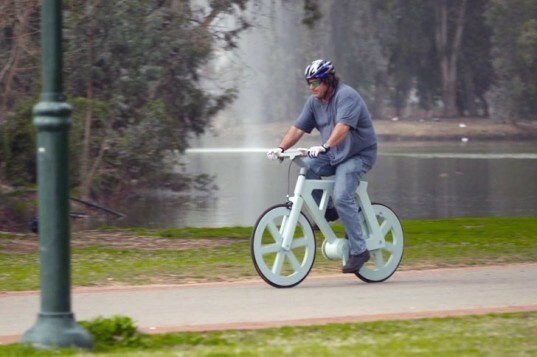 The bike is fire and water resistant, and it's strong enough to bear the weight of a 400-pound person. Gafni sees the bike as a way to transform trash into something useful and valuable. "Imagine a time when every plastic or cardboard product that is thrown into the recycle bin will contribute to the creation of a bicycle, wheelchair or toy," said Gafni. Cardboard Technologies says it passed on several investment offers and instead opted to raise money through crowdsourcing because the company didn't want to compromise its social values for profit margins. One major perk of donating to the Indiegogo campaign is those who give at least $290 ($250 for the bike + $40 for shipping) will be the first to receive a bike when first deliveries occur in March 2015.